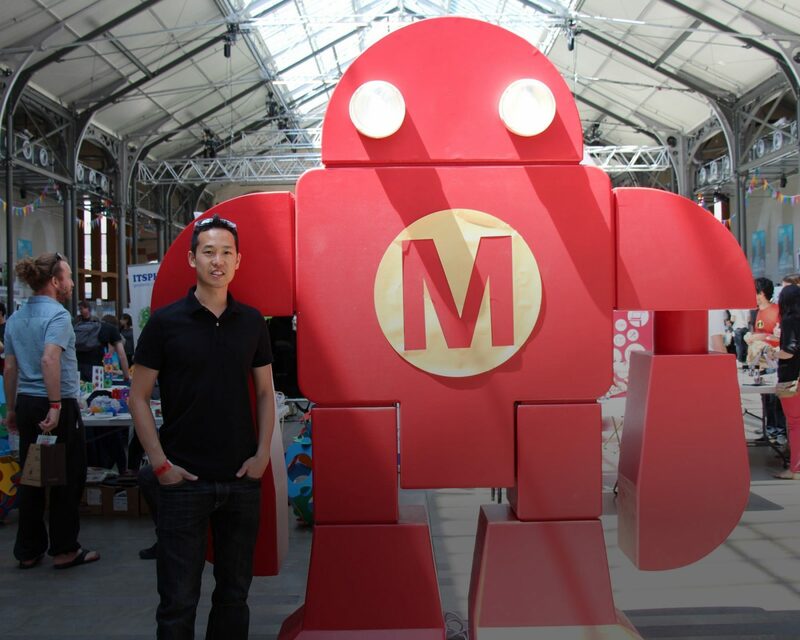 Maker Faire Paris was held at Le Centquatre this year and Lap Leung from Maker’s Empire was thrilled to be able to attend and meet local French makers. 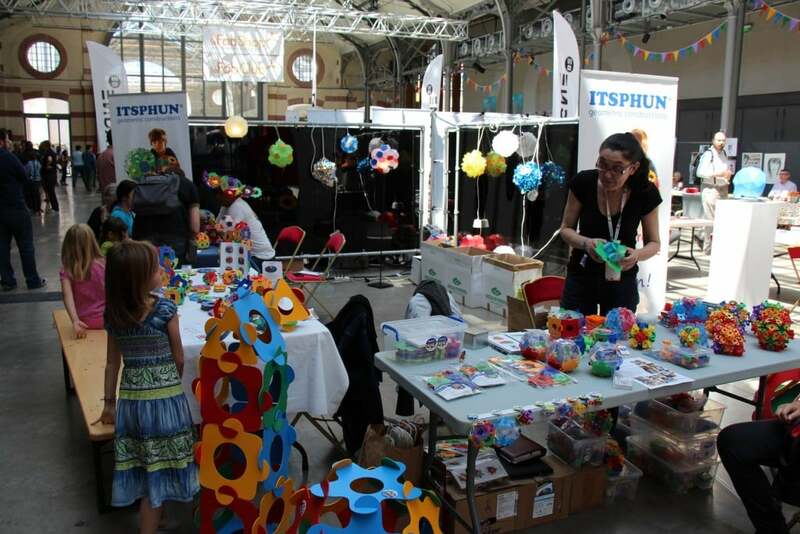 There were no shortage of maker projects and 3D printer action. There was a carnival-like atmosphere with lots of parents and children spending quality time while learning a bit on the side, too! 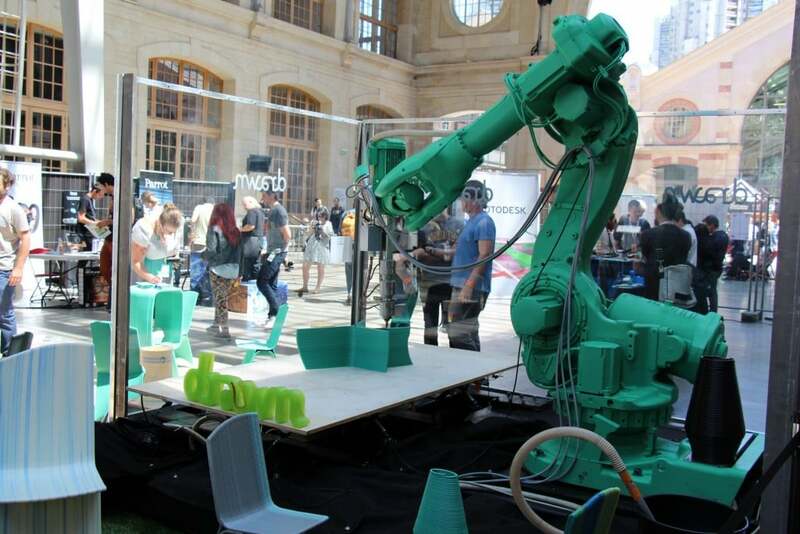 So what did we see at Maker Faire Paris? 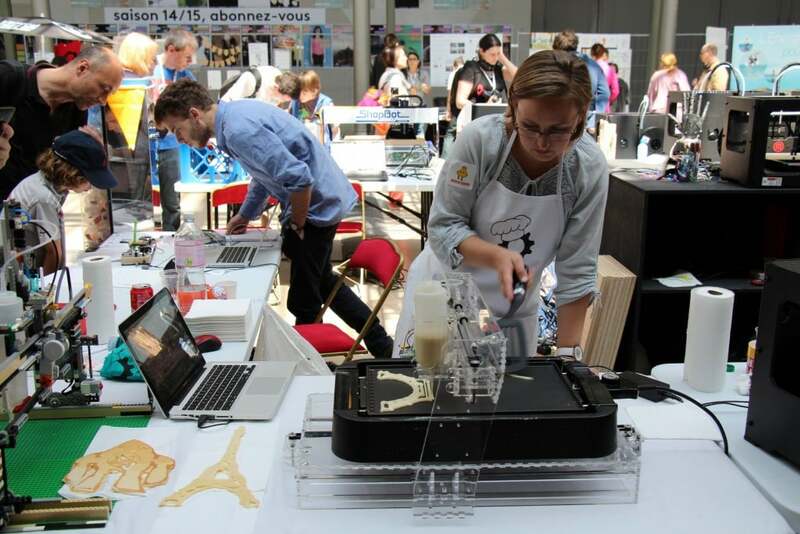 We saw pancakebot making deliciously 3D printed pancakes. We also saw Drawn, a crowd favourite with their massive 3D printer printing out furniture, 3Dprintinyou which lets you take a 3D scan of yourself, as well as lots of do it yourself projects. One of our favourites was this purple interlocking material printed out via a store from Shapeways. 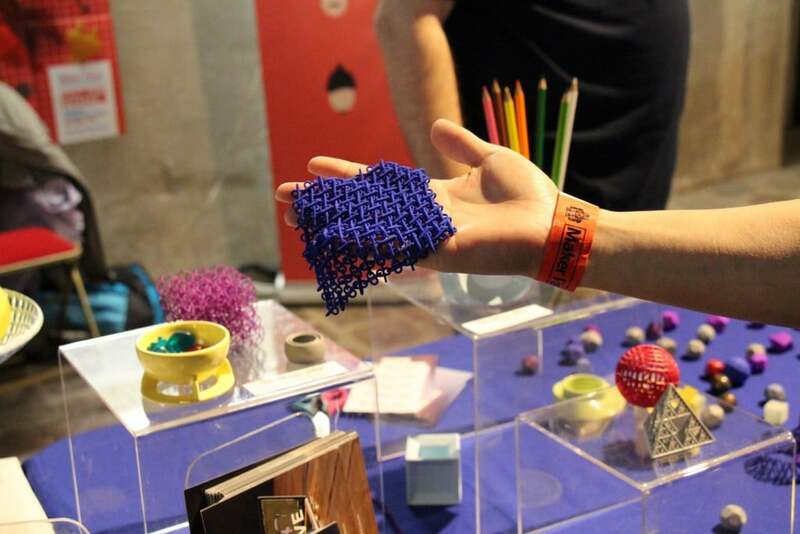 “Seeing all of these amazing companies using 3D printing was so inspirational,” said Lap.